From time-to-time we will make informational posts available here. Items will be in reverse chronological order and only the first part of each will appear. Please click on the READ MORE buttons to see the full articles. 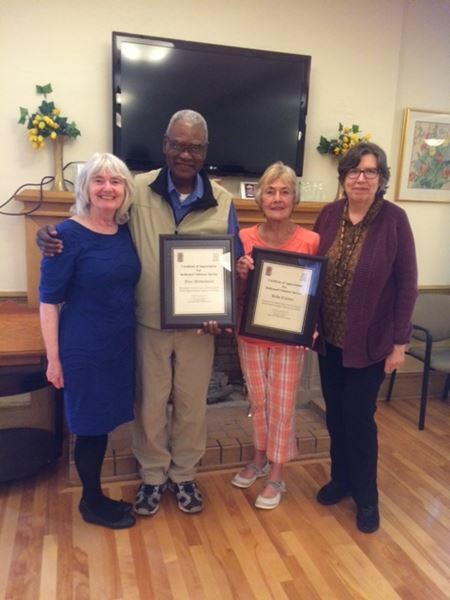 Joao Matwawana and Hilde Carson receive thank you certificates for their many years of service with the HRUBA Chaplaincy Committee. Presenters and chaplains, Adele Crowell and Ida Whitehouse also appear.